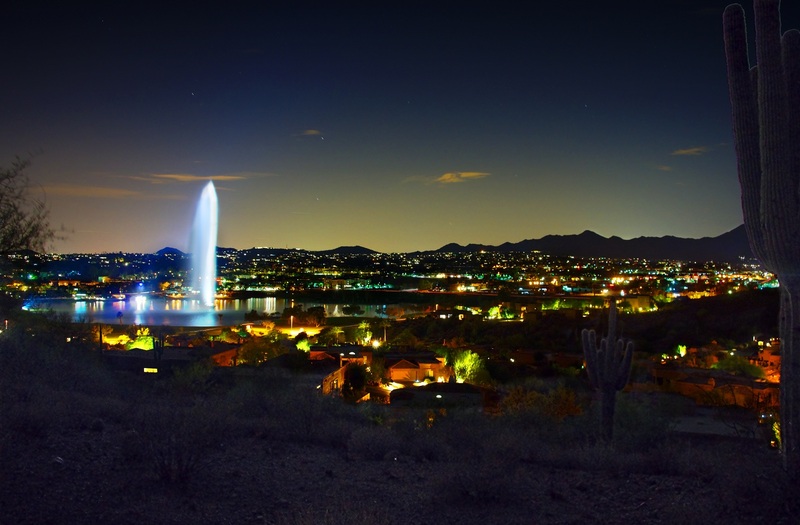 The photo below is of the Fountain Hills fountain and environs as it appeared last Sunday just after 8:00pm. The image below was blended in GIMP using three of the ten exposures that I took using my Sony NEX-7. One of the problems I had with tone mapping the image using HDR software is that there’s a lot of noise in the immediate foreground. Tone mapping it with Fattal made that noise even more evident. Most of the other tone mapping algorithms had difficulty with the dynamic range. Below is another result that I got using Mantiuk ’08 with some additional GIMP edits afterwards. 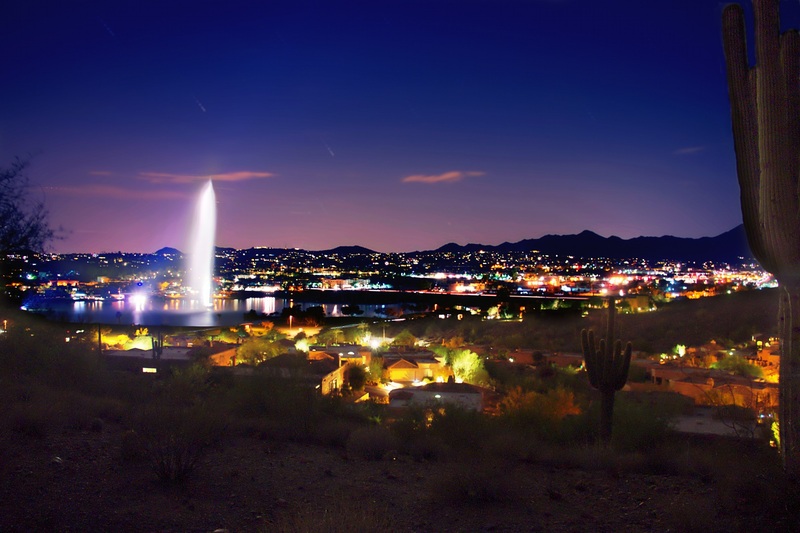 This image is not as sharp and the town lights are too bright, in my opinion. I am so impressed with your photos! The descriptions are also interesting to read. I especially enjoyed the bird of paradise and the lights at the fountain shots! Simply beautiful. Keep sharing!! !